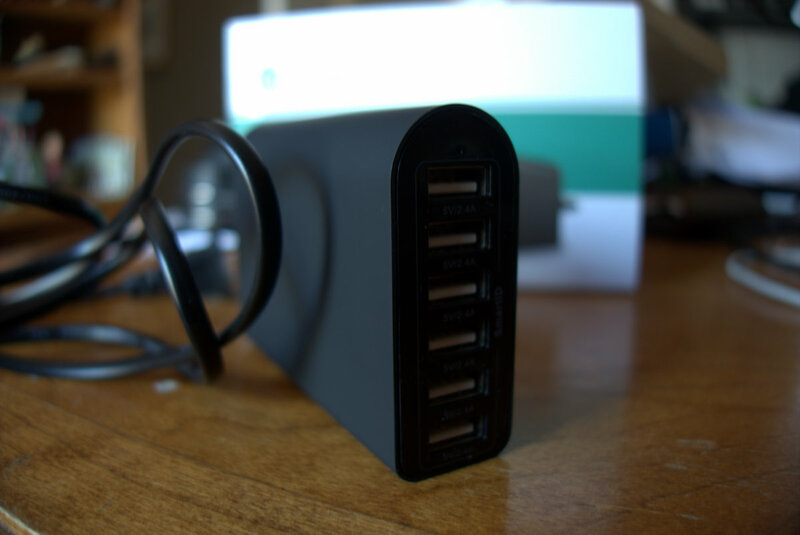 Consider this part-1 of my review of the Synology DS416j NAS for consumers. First, some background: I’ve been storing my photo library on a 4 TB hard drive. My photo library has grown slowly over the years at a pace of approximately 1 TB per year. My photo library has grown significantly faster recently due to my video files. I started taking a lot more video on weekends and on trips and as you well know, that takes up a lot of space! On a single trip to Maui we captured over 50 GB of video / photos. So, my archive quickly grow and once it was a 3.8 TB I knew I had to do something. I had a second photo drive (also 4 TB that I used CarbonCopyCloner to backup to. It basically created a backup of my main photo drive. This gave me peace of mind that if my main drive failed, I’d have a local backup. In addition, I use CrashPlan to back up online. If I’m being honest, it hasn’t finished backing up in over a year. It just goes so slowly. I’m worried about accessing files over the network and worried about the speed. Obviously worried about the backup, but with Synology I can easy since it can backup within the device to the extra drives. It also has apps so. I can install CrashPlan and hope it catches up. 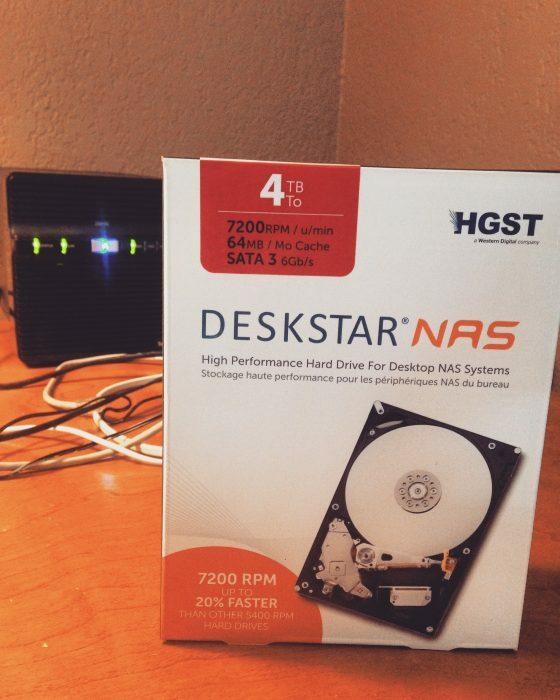 I installed HGST Deskstar NAS hard drives (2 drives of 4 TB each). Once I hit the 4 TB size I’m going to grab two more. Let’s talk about the speed issue. I’m often connecting over WiFi, and we all know that WiFi is generally limited to 100 MBps speed. Well, did you know that newer Mac laptops (mid 2013+) have 802.11ac support? This means Gigabit WiFi! Needless to say, we will be upgrading all of our laptops shortly so we have Gigabit WiFi support. I’ll also need to go grab a new WiFi Router that supports 802.11ac. This will create a beautiful setup where accessing files over the network is quick! I can’t wait! Here is my “unboxing” video which has been a sudden mediocre success on YouTube. I’ll probably post a follow up article about it once I am fully up and running with the new laptops. Installing the drives and using the software has been very easy. As you can tell, so far I’m loving my NAS! Yes, I really wrote 81 different articles in one month! You might think I spent a lot of time in front of the computer writing these articles. You would be wrong! I wrote them while holding a 5 month old napping baby. I’m even writing this article while my son sleeps! 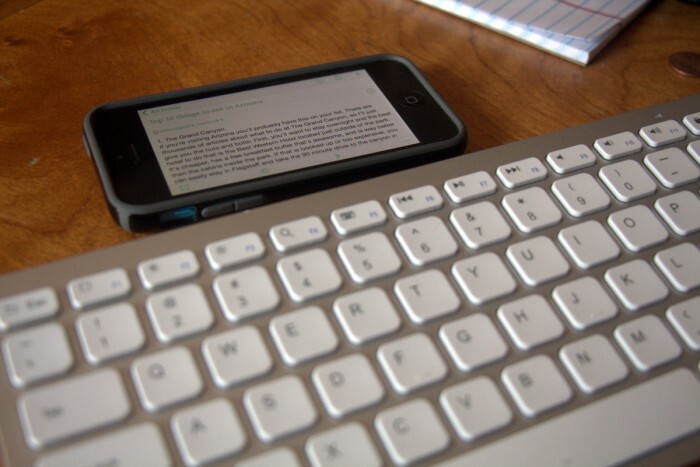 Here’s my trick: I bought a wireless bluetooth keyboard and paired it to my iPhone. 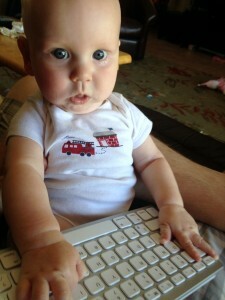 When my son falls asleep, I grab the keyboard, open Evernote, and start writing. It is really that simple. I didn’t set out to write this many articles, but blew away all of my expectations. I typically watch our kids in the morning while my wife gets an extra hour or two of sleep. During that time, my 5 month old will usually nap a couple of times. Perhaps for 20 minutes at a time. I take advantage of that time and do some writing! For example, I will often begin a blank note in Evernote as a reminder about a topic I want to write about (just fill out the headline). That helps me because when I sit down to write, I don’t want to spend my time thinking about a topic. Some articles require more research than others. In those cases, it can be a waste of time to do research while the baby is sleeping. I do basic research before I sit down to write. I take screenshots of information that might be useful and insert those at the bottom of my Evernote document. Then, when I’m writing, I can scroll down and reference them. This keeps me focused, and in one app. If you have an Apple TV, here’s another trick I’ve used. Did you know you can mirror your iOS device to your Apple TV? I use this almost constantly! It’s like having a huge monitor and it is easier to see than the iPhone screen. After he wakes up, I’ve found I can easily edit my articles (as long as the changes are simple) without the keyboard just using Evernote on my iPhone. I can even publish my articles directly to one of my web sites by using the WordPress iPhone app! But, usually, I end up editing them on my desktop (still in Evernote’s Mac app) and then publish from there. 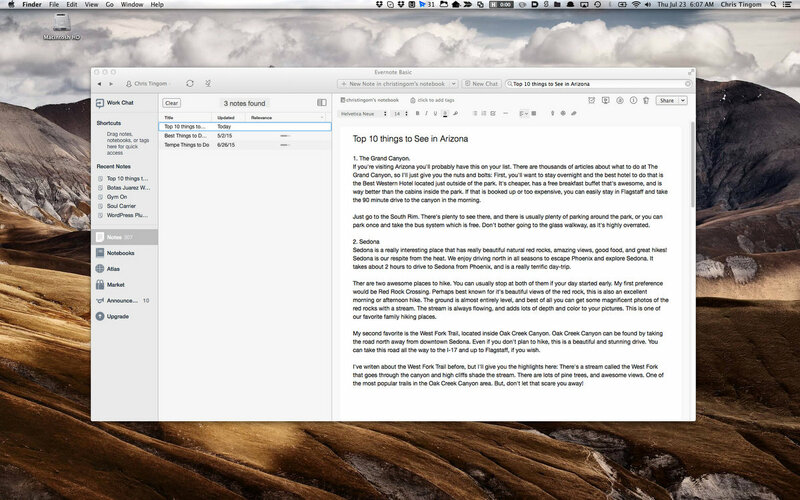 Evernote automatically saves everything I write, so I’ve never have to worry about losing my writing. I love that I can access my writing on any device. I personally use the iPhone and Mac desktop apps. My writing tends to be about travel, product reviews, and how-to articles. I also often write case studies about my design projects. My articles tend to be on the shorter side. My shortest article was about 250 words, and my longest was 1,650 words. The 81 articles I wrote last month combined make about 30,000 words. In the previous month I only wrote 5 articles. This is a fairly big leap in productivity for me. By day, I manage a small web design shop and design and build web sites. The rest of the time, I help my wife with our two kids. We have a 3 and a half year old daughter, and our 5 month old son. If you’re a parent, and you need to do some writing, I highly encourage you to take advantage of the time-saving benefit of pairing an inexpensive Bluetooth keyboard to your phone. Here’s some info about the keyboard I’m using: It’s an Anker Ultra Compact Bluetooth Keyboard (Model A7726). I grabbed it on Amazon for only $16. 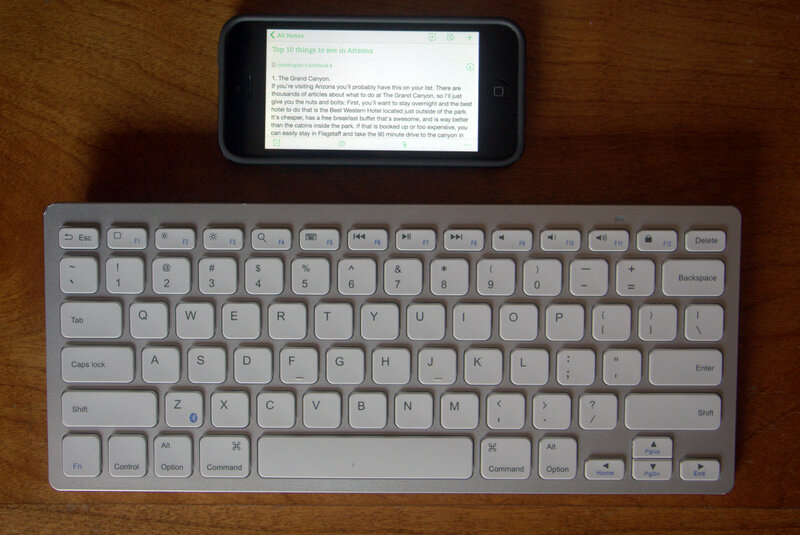 The Keyboard is the same size as the wireless Apple keyboards, and is only compact in the sense that it is smaller than a full size keyboard. It takes two AAA batteries which last months. They have a couple of similar models which have rechargeable batteries. Pretty much any Bluetooth keyboard will work. I hope that these ideas will be helpful to other parents who want to write, but can never find the time. Please leave a comment and share your writing productivity tips! 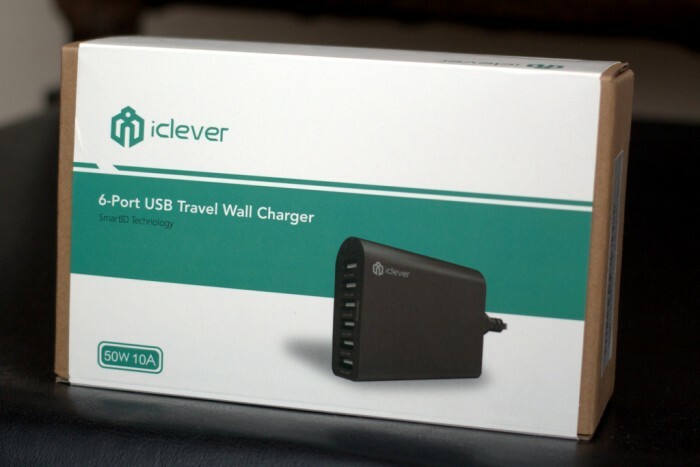 My new iClever 6-Port USB Wall Charger has found its way into my home. I’ve been using it regularily and have it plugged in next to my couch. The genius of a multi-port USB charger was lost on me until I realized it meant I could leave all of my other charger plugs at home and use one device. It’s really quite smart, and easier. Now when I’m traveling instead of trying to find several wall sockets I just plug the iClever in and all six of my devices can charge. Each of the 6 ports is marked with 5V/2.4 A which gives you full speed charging at any port. It’s marked as SmartID, which means it is smart at identifying specific devices (and charging speeds). Yeah, I still have and use my old iPad! Works great for just playing videos. I also have a variety of cameras to charge, but they each have their own chargers.On the plus side, by using the iClever I’ve freed up extra wall sockets for my camera equipment. Winning! The iClever comes with a 3 foot cord so it can easily stretch behind a couch or cabinet. 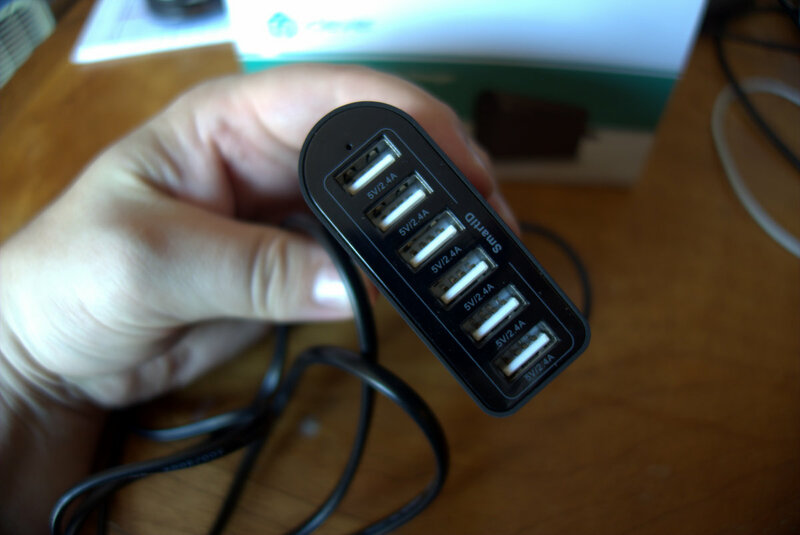 You can purchase the iClever 6-Port USB Charger online at Amazon or at Hisgadget (which seems to have the best deal). Note: I received the product for free. My family travels about 10% of the year, and when we’re on the go, we need a way to charge our devices and keep them charged. That is where our Intocircuit Power Castle Portable Charger comes into play. We now use this charger at home even when we’re sitting on the couch. It’s that convenient! 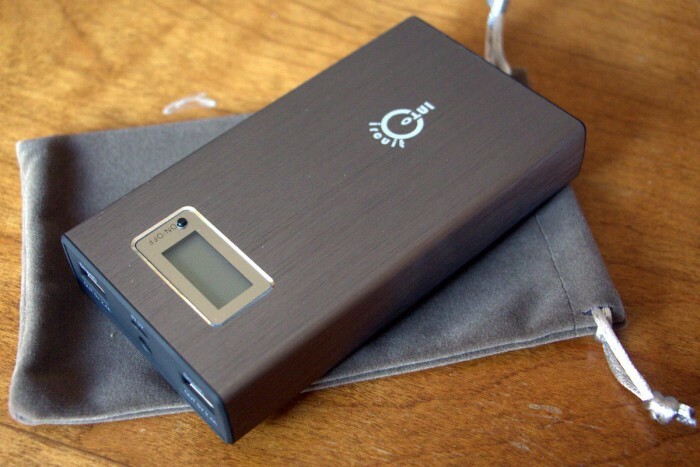 The portable charger is a 15000 mAh / 55.5 Wh battery that has two USB ports and a flashlight. Compared to other battery chargers I’ve used in the past, this one has more than 3 times the capacity! The device has a convenient LED display that tells you exactly how much charge capacity remains. As I’m writing this, I’m charging my phone and it says I have 39% capacity left. That 39% should give me about 4-5 more charges on my iPhone 5C. In total, you should be able to get about 10-12 charges off of a fully charged portable charger (depending on the phone, state of charge, and condition of battery). The charger comes with a nice carrying bag, and a USB mini cord so if you’re charging an Android you’ll be set right out of the box. The mini USB cord is also used to charge the device. You can use any USB power outlet connector with the device. Chargers like this can be really handy for travel on airplanes, long road trips, or even hanging out with friends at the beach. 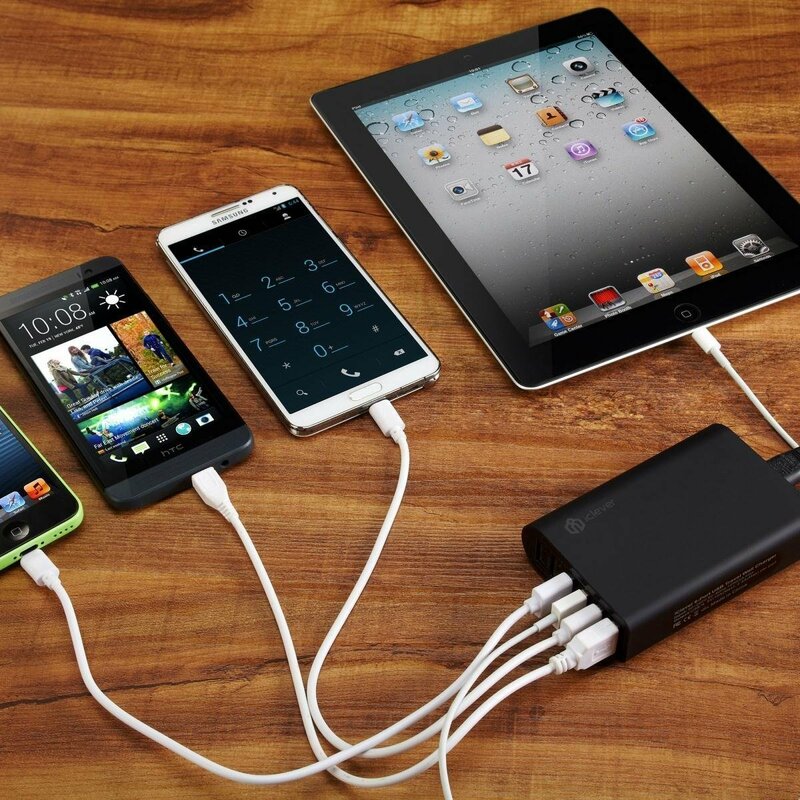 The Intocircuit portable charger can charge two devices at the same time. The device sports a clean brushed aluminum finish that looks really nice. It’s small enough to fit inside almost any purse. So, if you’re looking for a portable USB charger, I’d highly recommend this one! It comes with a warranty and ships via Amazon.com! You can also buy them directly from Hisgadget which seems to be a lower price!